German government funding radical anti-Israel group, report reveals. The government of Germany is providing financial backing to a radical anti-Israel non-governmental organization working to promote the view that the establishment of the Jewish state was a “disaster”. Ahead of International Holocaust Remembrance Day on Friday, activists from the Im Tirtzu organization released a new report documenting foreign aid for “Zochrot”, a far-left NGO working to “decolonize” Israel. A tireless promoter of anti-Zionism, Zochrot advocates for a “right of return” for descendants of Arabs who left Israel during the 1948 War of Independence. Nor does the group limit its support to a symbolic “right of return”, but calls for all so-called “Palestinian refugees” to be absorbed into Israel – a policy which would mark the end of the Jewish state. Zochrot aims to perpetuate the anti-Zionist “Nakba” narrative, which portrays the establishment and existence of the Jewish state as a “disaster”. The group’s mission statement makes no mention of the expulsion of 900,000 Jews from the Middle East and North Africa and their loss of property. 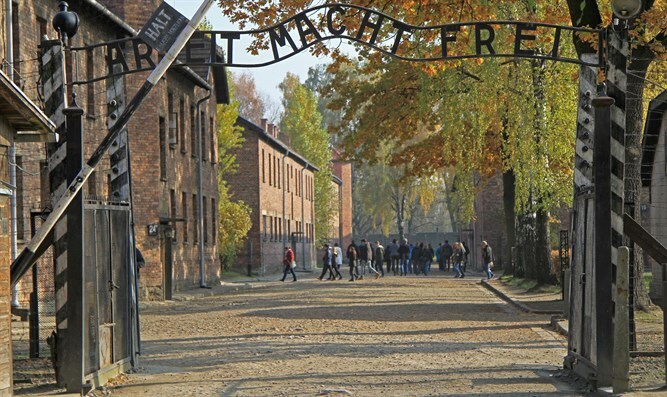 In 2014, Zochrot chief Eitan Bronstein and other group officials participated in the production of a video which dubbed the Holocaust “the best thing that ever happened” to the Jewish people. But despite the group’s radical anti-Israel positions, the Im Tirtzu report reveals the German government is one of Zochrot’s biggest financial backers. Based on data gathered by the Israeli Corporations Authority's non-profit registrar, from 2012-2016 the government of Germany gave over 1,100,000 shekels ($290,000) to Zochrot. The funds were transferred via two German foundations, Misereor and Rosa Luxemberg Stiftung, both of which are funded primarily by the German government. This despite the fact that an organization established by the German government - the Memory, Responsibility and Future Fund (EVZ) – cut off funding to Zochrot nearly five years ago because of the group’s political agenda. Zochrot engages in a wide variety of activities to delegitimize the Jewish state and promote the anti-Zionist “Nakba” narrative. The group worked with anti-Israel groups on campuses around the world to offer what was dubbed the “Film Festival on Nakba and the Right of Return” during “Israeli Apartheid Week”. The group also released the “iNakba” smartphone application, which was promoted by the Qatari state-funded Al Jazeera media outlet. While Im Tirtzu has contacted the German Ambassador to Israel over the funding, the German government has yet to issue a response. “The idea that Germany in 2017 is funding an organization that brazenly seeks to destroy the Jewish character of the State of Israel is a disgrace,” Im Tirtzu chief Matan Peleg said.